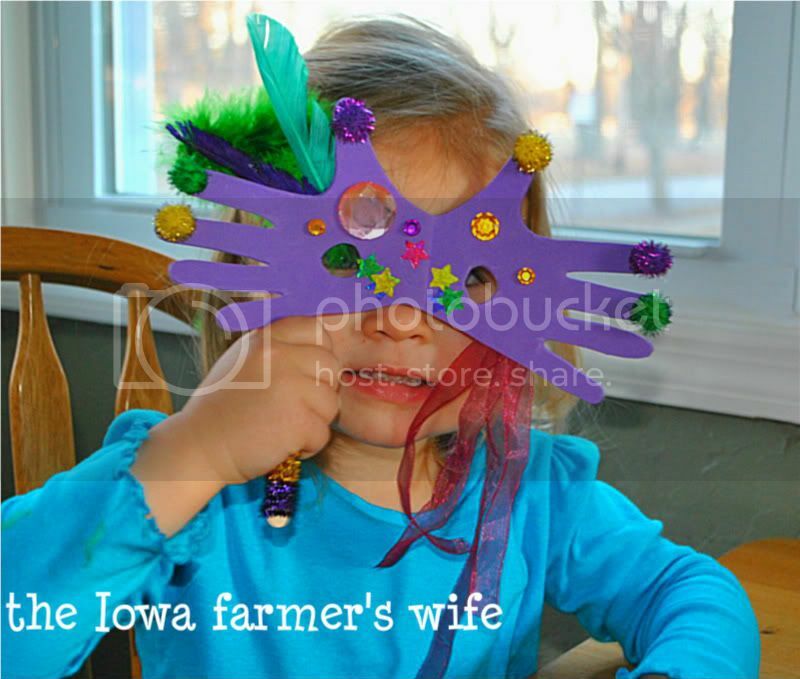 The Iowa Farmer's Wife: Happy Mardi Gras! We took these to do at a playdate today, but if you think 5 2-3 year olds are going to stop long enough to craft you are mistaken! We left the materials with our friends so they could make them on their own and we made our Mardi Gras mask after naptime! 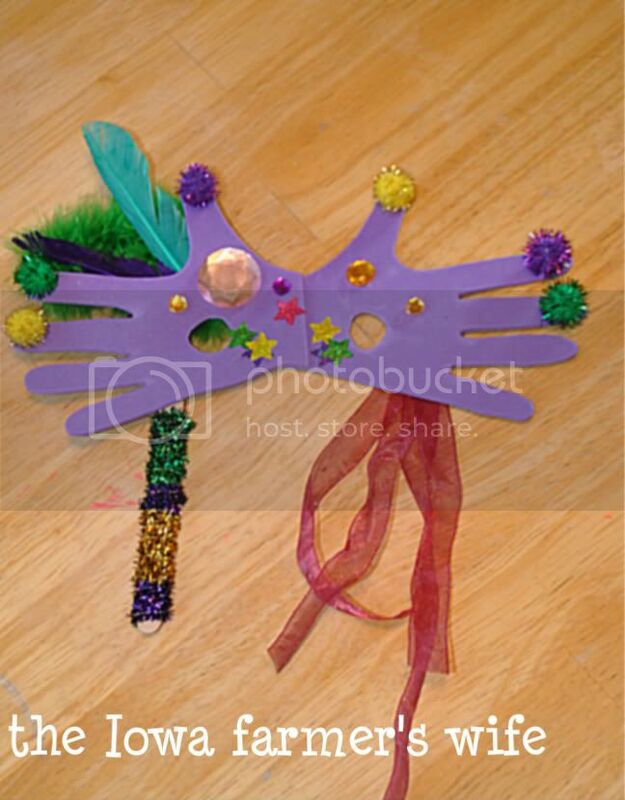 Did you do an activities to celebrate Mardi Gras?